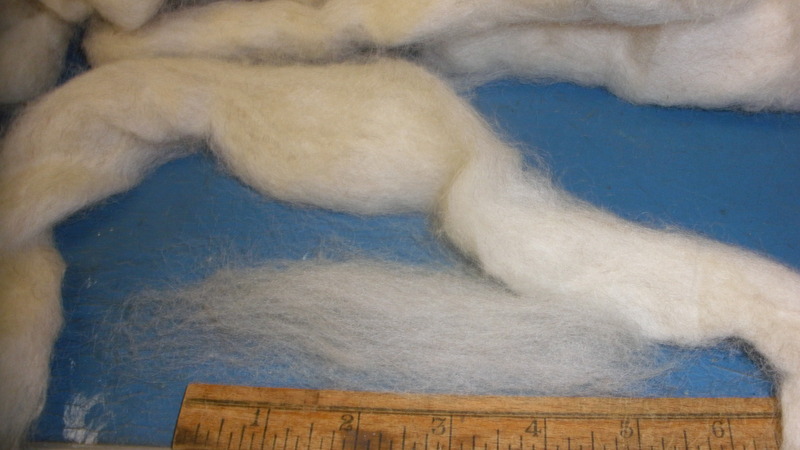 Locally sourced coarse wool blend in a scoured carded sliver (S/C). 32 micron 3-5 inch staple. Some light vm. 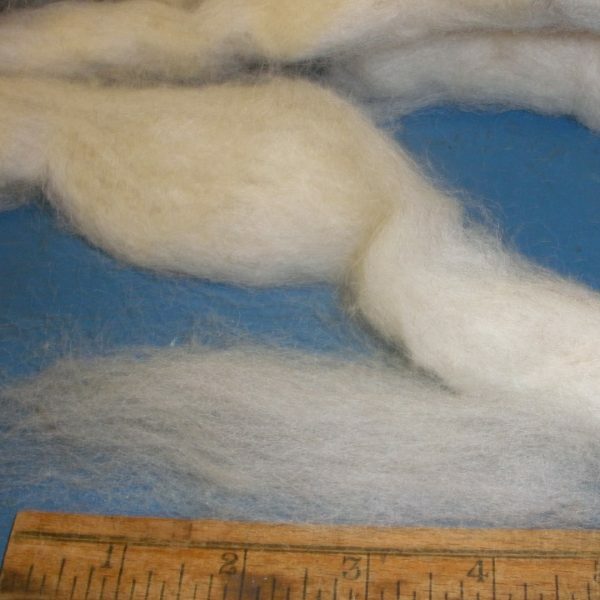 Creamy U.S. Fleece state color. Note that the weights vary from 10-14 pound bags and we invoice for the actual bag weight. Hence the final billing may vary widely from your original shopping cart total.